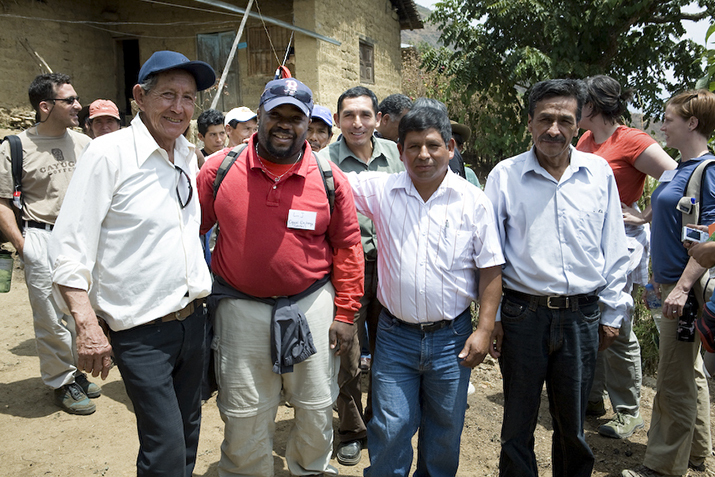 Photo: Members of the San Fernando Cooperative of coffee growers in Peru meet with Equal Exchange board chair L.J. Taylor (in red shirt). Finally, the principle of cooperation among cooperatives is clear in the Equal Exchange supply chain, which joins farmer co-op to worker-owned co-op to consumer-owned retail food co-op. “Cooperation among cooperatives—we take that very seriously. Working with farmers to help them achieve their mission and linking co-ops together for support and knowledge is hugely important,” L.J. explains. “Each of us joined together in that principle makes all of us stronger. Understanding the shared ideals of each link in the cooperative supply chain, and trying to empower each link in the chain, is elegant and beautiful. “Equal Exchange is demonstrating that you can do business differently and succeed,” L.J. says. Thirty years after its founders first sought to focus on fair trade and empower small-scale farmers, Equal Exchange is leading the way through its continued commitment to cooperative values.